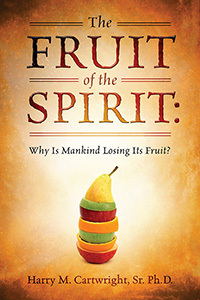 Why Is Mankind Losing Its Fruit? by Harry M. Cartwright, Sr. Ph.D.
Research has shown that eventually all big nations fall. For example, The Roman Empire, Greece, and United Soviet Socialist Republic (USSR), etc. After seven (7) plus decades of observation, education (academic and spiritual), and research on various circumstances that would cause a nation to fall, this author remains strongly convinced that if this nation (USA) doesn’t change its beliefs and ways of treating (each other) human beings, it too is destine to fall. The main intent of this book is to show our national leaders and the average everyday citizen how they too can save this nation. Our Creator has given humanity the best environment one could ever want to live in, and He has also given us free will, however, man has used this knowledge and will to destroy each other as well as the universe. The author’s utmost desire is that people will use the information in this book to realize it’s time for us to follow His Word before we destroy ourselves and this nation. Last but by no means least, the author intends to remind all mankind that you are not free until you know that “God” is the only “Truth,” and “He” will set you “Free” and “He” is still in charge!! Harry M. Cartwright, Sr. Ph.D.
Dr. Cartwright remember growing-up on the Eastern Shores of Maryland in a loving, compassionate, honest, and safe environment. However, in the last half century he has observed these human behaviors slowly vanishing. In this book, the author answers the question that inquiring minds want to know; what happened to the fruit? 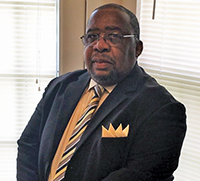 Dr. Cartwright believes that if this nation continues its greed (love of money), dishonesty, intolerance: (racial and religious), and lack of compassion for others, it is headed for destruction. As an African- American male living in the United States of America, the author uses his experiences, education, and observations as evidence that our Creator did not intend for humans to treat each other un-ethical, un-civil, immoral, fraudulent, and distrustful. Dr. Cartwright, Sr. offers solutions and suggestions to support present and future citizens in their efforts to change our world.